Since Rocket Kapre launched a month ago, we’ve been whetting your appetite for a certain anthology by giving you weekly interviews with contributors. 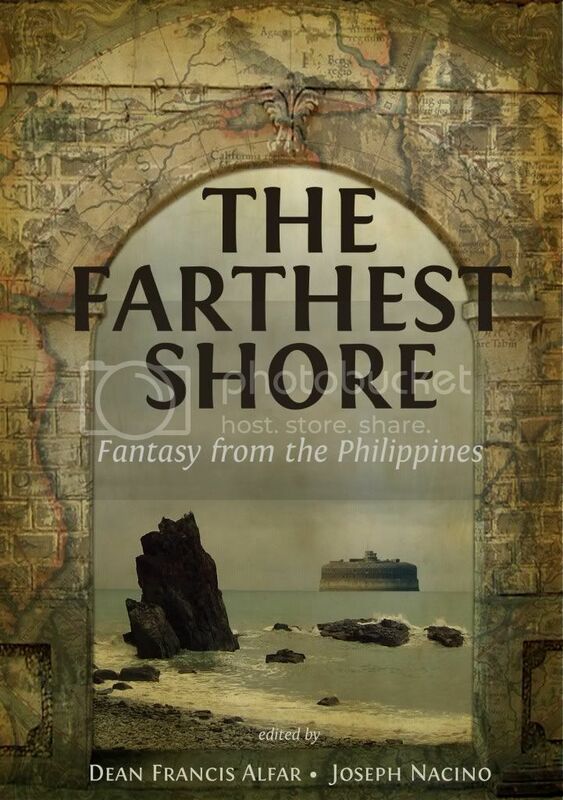 For the month of September, we’ve picked the brains of Kate Aton-Osias, Crystal Koo and Dominique Cimafranca regarding their stories in The Farthest Shore, an anthology of secondary world fantasy from Filipino authors, and now you can read those stories for yourselves: The Farthest Shore has been released, just in time for weekend reading. Please do check it out, and let us know what you think! We also have a few more Farthest Shore author interviews in the pipeline (and now you’ll actually know what they’re talking about). This Wednesday we’ll speak to Eliza Victoria about her story, “The Just World of Helena Jimenez”.